My name is Kristi and I am a fabric addict. I’m so excited to be sponsoring this giveaway hosted by Nester! 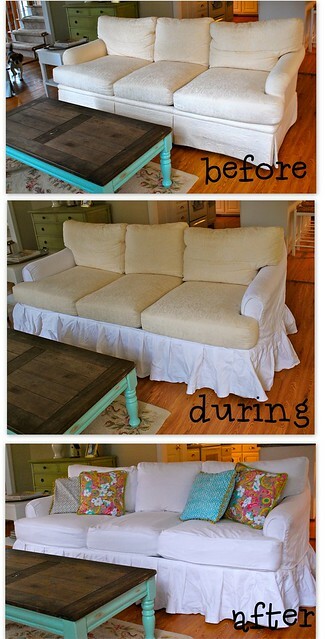 You could do so much with $75 worth of fabric…like make a slipcover…of course. I’m giving away a $75 gift card to fabric.com! Only one person will win the entire $75 gift card. 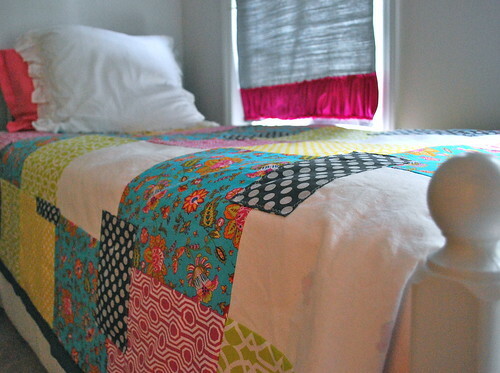 You could bust out a lazy girl quilt with some co-ordinating fake valances…for your guest room that you need to get ready for your summer guests! Woo Hoo! 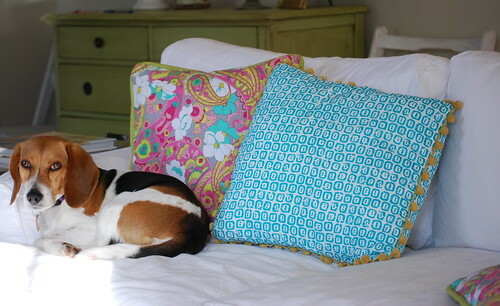 You could spice up your pillows with some colorful spring fabrics or use it as a blankie and snuggle with your dog if you want…It’s totally up to you! Leave a comment saying what you’d like to do with your $75 of fabric. For a third entry, “Like” us on Facebook and leave a 3rd comment saying you “liked” us. Giveaway open until Thursday, April 7th. This is open to Canadian and International. Fabric.com doesn’t ship to all countries, so check their site to make sure they ship to your country before entering. I will announce the winner on Saturday, April 9th. Good luck and don’t forget to go check out all the other giveaways at Nesting Place. OH. My. Goodness! I can't believe I won! I am soooo stinkin excited! Thank you, thank you! I wish my name was Selma. Seriously, I'm glad I was lead to your blog by the contest. I am enjoying reading visiting. I would make LOTS of throw pillows for the bedrooms!!! Could SO use a GC! I've got oodles of curtains to make!!! following you like a creepy guy with binoculars…ha! I am wanting to make a slipcover for one of my oversized wing chairs! This would be plenty for that and then some. I LOVE Fabric.com. It is always my first stop to fabric shop.